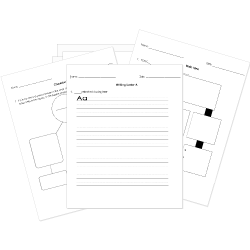 You can create printable tests and worksheets from these Grade 3 Capitalization questions! Select one or more questions using the checkboxes above each question. Then click the add selected questions to a test button before moving to another page. Which sentence contains correct capitalization? Why don't we get together to watch the Super Bowl? Which word needs to be capitalized? I go to every morning to get a coffee. Alex just moved to stanley street. dropped me off at soccer practice today. Dr. Green is a of English. My works full time but always makes dinner. Which word(s) should be capitalized? I always buy my meat from kroger. Mom and I rode the train to St. Louis, Missouri. Choose the answer where the title is correctly capitalized. Choose the best way to write the title. Which sentence has all the capitals written correctly? Dr. Brown likes to get his coffee at the Hot Cup Cafe.